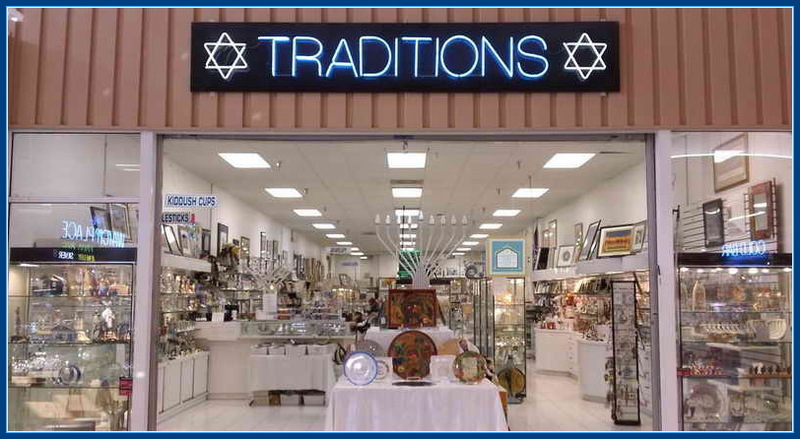 Shalom And Welcome To Traditions Jewish Gifts - The Online Extension Of Our Family-Owned Traditions Judaica Gifts Store At The Festival Market In South Florida's Pompano Beach. Those Of You Who've Visited Our Store Know That We Offer One Of The Largest Collections Of Jewish Gifts In The World. However, What You May Not Know Is That Our Business Is Founded On The Same Jewish Traditions We Celebrate With Our Customers Daily. A Door Mezuzah Is One Of The Most Popular Jewish Gifts For Almost Any Occasion. By Hanging A Kosher Mezuzah On Each Door Of A Jewish Home You Are Reminded Of God Each Time You Enter And Leave The House. While The Kosher Parchment Or Shema Blessing Is Always The Same, The Mezuzah Case That Holds The Scroll Is Where You Can Be Creative With Your Gift Giving. Select A Noah’s Ark Mezuzah For A New Baby Gift. A Home Blessing Mezuzah For A New Home Gift. There Are Even Sports Mezuzahs For Your Favorite Fan. Popular Mezuzah Cases Include Jerusalem Stone Mezuzahs From Israel And Metal Mezuzahs From American Artist, Gary Rosenthal. With Over 800 Different Mezuzahs Cases You Will Be Sure To Find The Perfect Jewish Gift At Traditions. 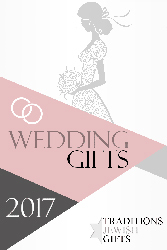 A Jewish Wedding Is The Time For Two Individuals To Come Together And Create Their Own Jewish Home. Jewish Gifts Are Especially Meaningful At This Time. Shabbat Candlesticks, A Kiddush Cup And Challah Board Are Just The Start Of The Religious Items They Will Need To Celebrate Shabbat Each Week. A Hanukkah Menorah Or Passover Seder Plate Are Also Great Gifts For Them To Celebrate The Jewish Holidays Together. One Of The Most Memorable Jewish Wedding Gifts Are Keepsakes That Are Created From The Groom’s Stomp Glass From The Wedding Ceremony. 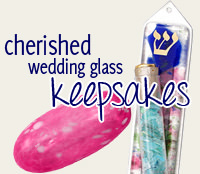 After The Shout Of “Mazel Tov!” The Broken Glass Can Be Encased In A Wedding Glass Mezuzah Or One Of Over 200 Different Wedding Glass Keepsake Gifts. 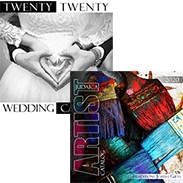 With Over 200 Wedding Glass Keepsakes, Traditions Is Your Source For The Largest Selection Of Wedding Glass Gifts. When A Child Becomes A Bar Or Bat Mitzvah They Become A Jewish Adult In The Eyes Of God. With Becoming A Jewish Adult Brings New Responsibilities. Presenting Them With A Special Jewish Gift Gives Them The Right Start In This New Chapter Of Their Lives. These Special Gifts Include A Torah Pointer Or Yad. They Will Use This When They Read From The Torah During Their Mitzvah Ceremony And Encourage Them To Continue Reading From The Torah. Other Gift Ideas Include; For Girls, A Pair Of Candlesticks For Them To Light Each Shabbat And For Boys A Kiddush Cup To Say The Blessing Over The Sabbath Wine. Whether You Are Looking For A New Talis Or Prayer Shawl, Imprinted Kipot For Your Guests Or A Special Jewish Gift, Traditions Jewish Gifts Is Your Source For Unique Judaica. Selecting A Piece Of Jewish Jewelry Is Easy When You Have Over 1,300 Different Styles To Choose From. Buying A Jewish Gift For A Man Can Sometimes Be A Challenge. Traditions Jewelry For Men Include Mezuzah Pendants, Masculine Jewish Stars Of David And Chai Necklaces Just For Him. Selecting Jewelry For Her Is Easy With Gemstone Jewish Stars, Red String Bendel Bracelets And Unique Hamsa Jewelry. Children’s Jewelry Options Range From Petite Jewish Star Earrings To Smaller Pendants And Charm Bracelets. Costume Jewelry Is Always A Great Idea For Them To Wear Everyday. Jewish Gifts For Each Jewish Holiday Are Easy To Shop For At Traditions. The High Holiday Gift Store Is Filled With Apple And Honey Dishes And Children’s Books And Toys To Learn About The Jewish New Year. The Hanukkah Gift Store Is Stocked With Menorahs For Everyone! Children’s Menorahs, Electric Menorahs, Handcrafted Menorahs And Hanukkah Candles In Almost Every Color. You Will Find A Selection Of Collector’s Dreidels That Will Impress Even The Most Seasoned Collector. Hanukkah Gifts For Children Range From Toys And Games To Books And Toy Dreidels. The Passover Gift Store Has Everything You Need To Create A Wonderful Seder Table. Passover Gift Sets Include Seder Plates, Matza Trays, Matza Covers, Afikomen Bags And Elijah’s And Miriam’s Cups. Children’s Passover Gifts Range From Funny Jewish Gifts With A Matzah Theme To Passover Plaques And Plenty Of Arts And Crafts Kits. You Will Find That Traditions Is Your Source For Jewish Gifts For The Holidays! I bought the Shalom Gnome as a gift for my brother and sister in law. The images do not do it justice. He is much more adorable when you actually get to see it! It's very well made and bigger than I thought it would be. I'm so glad I bought it! The quality is excellent, the nickel plated finish is outstanding, and my Jewish friends were very impressed with this Seder plate. Very nice job.